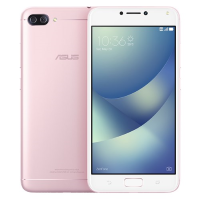 The Asus ZenFone 4 Max has a massive 5,000 mAh battery. It can last up to 46 days on 4G standby, 40 hours 3G talk time, 22 hours of video playback, and 26 hours browsing on WiFi. It has a 5.5 inch IPS display. Plus, a Qualcomm Snadragon 430 CPU powers the Asus ZenFone 4 Max.